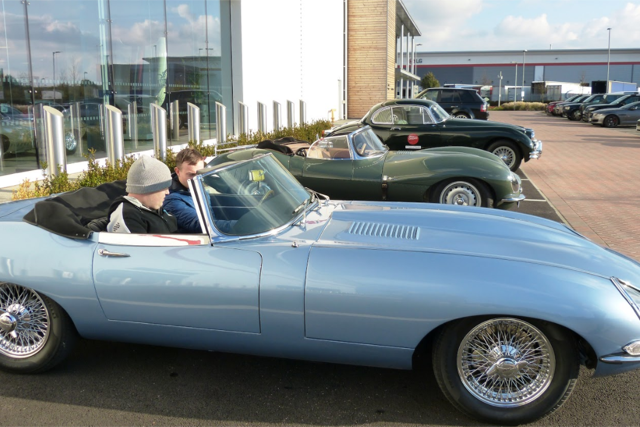 Our JLR Classic Works facility helped a young man on an extraordinary motoring mission this week: to ride in as many cars as possible to raise money for the Teenage Cancer Trust. 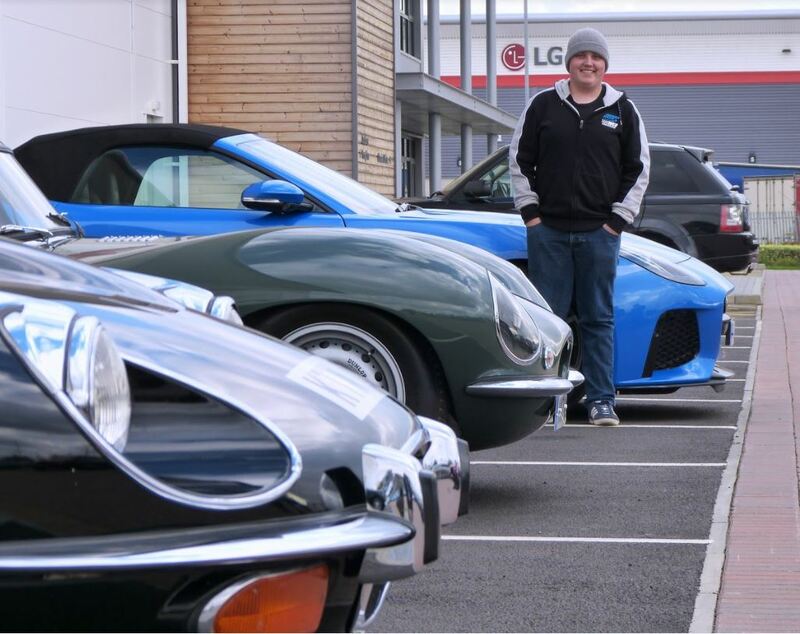 Car-mad Connor Dixon (pictured), who was diagnosed with cancer at the age of 19 is still fighting five years on, and is determined to ride in at least 100 cars to raise money for the cause. For each car he goes out in, Connor and his family are donating to the Teenage Cancer Trust, so a few of our Oxford Road colleagues thought they’d help him on his way to his £2,500 target with a few spins in some less than everyday cars. Already ticking off his first by being chauffeur driven in a Range Rover Sport to our Classic Works facility, Connor was presented with a further five stunning examples from JLR SVO and Classic. Among the selection were the Jaguar F-TYPE SVR; V12 E-type; XK120 FHC and XKSS – all of which Connor was able to experience on the road. 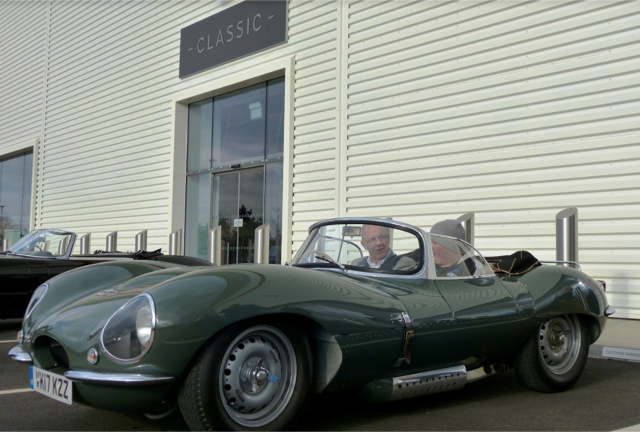 But there was one more to go: the all-electric Jaguar E-type Zero. Not only was Connor able to feel the zip of the electric powertrain which allows this one-of-a-kind prototype to go at 0-62mph in just 5.5 seconds, he was also the first member of the public to do so. 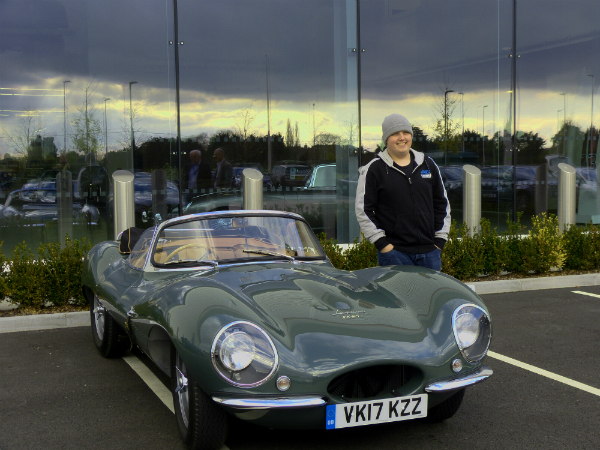 After that, Connor was treated to a tour of the facility where he could feast his eyes on models throughout Jaguar and Land Rover history. Having added six cars to Connor's tally, colleagues at the site were delighted to have helped, with many commenting on his bravery and optimism which made a strong impression on everyone involved in the day.